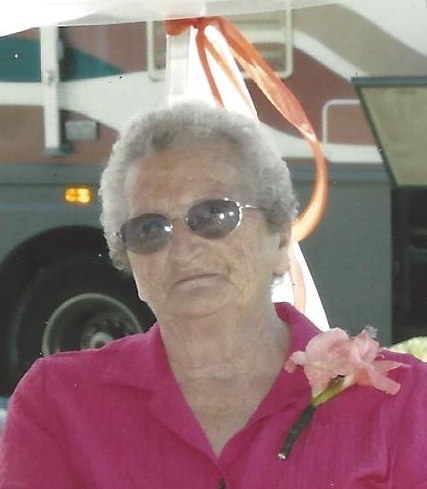 Norma Jean Oliver, age 86 of Fostoria passed away on Monday, March 25, 2019 at McLaren Flint. Norma Jean was born on August 20, 1932 in Ortonville the daughter of Albert and Evelyn (Fiefield) Farrington. Norma Jean was a member of SS. Peter and Paul Catholic Church. On April 23, 1949 she married Charles Oliver at SS. Peter and Paul Catholic Church. Norma Jean loved farming and the cows were very important to her. She enjoyed crocheting and trips to the casinos. Norma Jean is survived by her daughters; Laurene (Gerald) Judd of Mayville, Pam Thurlow of Fostoria, Charlene (Robert) Wheaton of Fostoria and Karen Middleton of Fostoria, sons; Albert Oliver of South Dakota, Bob (Terry) Oliver of California; Chuck Oliver of Otter Lake; 19 grandchildren; and 34 great grandchildren and 11 great-great grandchildren, brother, Gordon (Denise) Farrington of Lapeer and sister-in-law, Barbara Farrington of Lapeer, many nieces, nephews and friends. Norma Jean was preceded in death by her husband, Charles on May 28, 2004, 1 infant son, and 1 grandchild. Memorials may be made to Charity of your choice. Visitation will be Friday, 29, 2019 from 4 to 8 PM with the Rosary at 7:30 at Blackburn Chapel-Martin Funeral Home. On Saturday, , March 30, 2019 Norma Jean will lie in state from 10 to 11 AM at SS. Peter and Paul Church with the Funeral Mass to follow at 11:00 AM. Norma Jean will be buried next to her husband at SS. Peter and Paul Cemetery, North Branch. Father Muma will officiate.